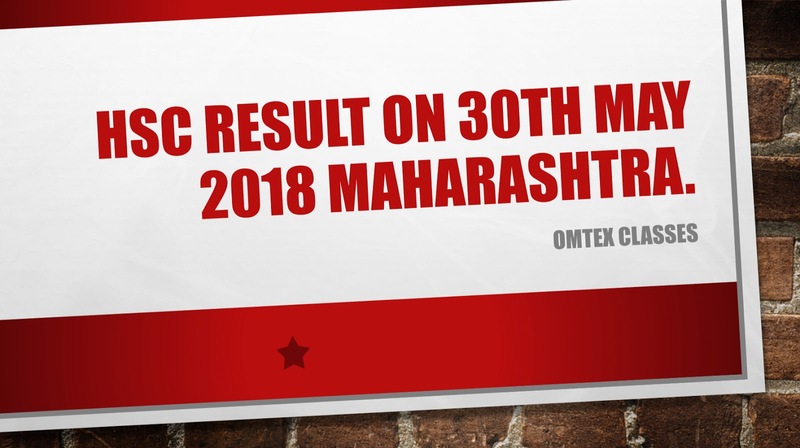 OMTEX CLASSES: HSC RESULT ON 30TH MAY 2018 MAHARASHTRA. HSC RESULT ON 30TH MAY 2018 MAHARASHTRA. 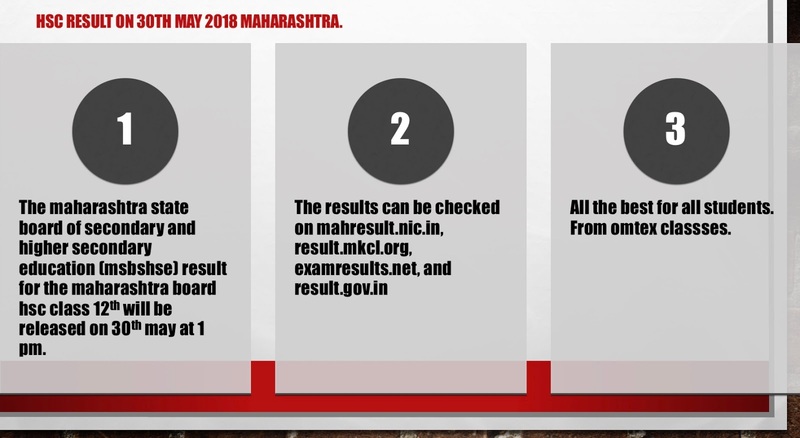 The Maharashtra State Board of Secondary and Higher Secondary Education (MSBSHSE) result for the Maharashtra Board HSC Class 12th will be released on 30th May at 1 pm. All the best for all students. From Omtex Classes.